I hope I'm on the right section of this forum. I saw few translation errors, French version. 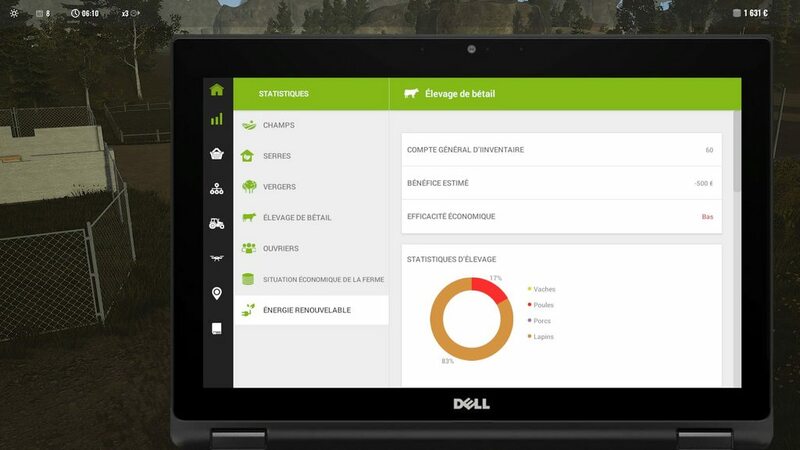 First, on the "stat" tab, Livestock, first line, it's written "IINVENTAIRE", correct word is "INVENTAIRE". 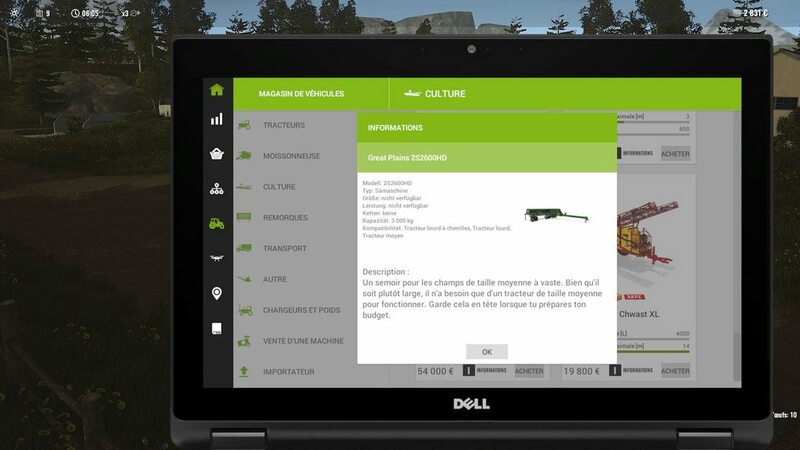 Second issue, in the vehicle shop, under Farming or Culture, description of the Great Plains 2S2600HD is in german. Last translation issue, in the chicken coop, the first step is called "Poulets", but the correct word is "Poussins" (which is a baby chicken).